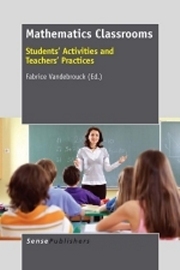 This book presents unique insights into a significant area of French research relating the learning and teaching of mathematics in school classrooms and their development. Having previously had only glimpses of this work, I have found the book fascinating in its breadth of theory, its links between epistemological, didactic and cognitive perspectives and its comprehensive treatment of student learning of mathematics, classroom activity, the work of teachers and prospective teacher development. Taking theoretical perspectives as their starting points, the authors of this volume present a rich array of theoretically embedded studies of mathematics teaching and learning in school classrooms.